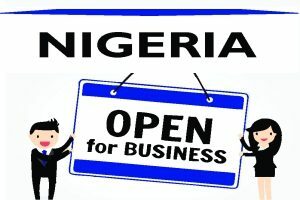 We offer legal guidance on how to navigate the Nigerian regulations on doing business, immigration, customs, tax, etc. We represent businesses in contract negotiation and enforcement, due diligence and legal compliance. Trade missions bring you in direct contact with potential agents, distributors, local partners, customers, government, service providers, etc. By getting in touch with us, we will connect you with relevant contacts in Nigeria. It is a requirement for businesses in Nigeria to be registered with the Corporate Affairs Commission (CAC) either as a Business Name or as a Company. We are CAC accredited solicitors, we will prepare and file the application for registration of your company with the CAC. Intellectual property law forms part of our core practice focus. We specialize in the protection and commercialization of IP assets, and we are licensed as IP Attorneys in Nigeria. We will file the application for the registration of your patent and trademark in Nigeria. We will obtain the relevant licences and permits for your business from departments such as the Nigeria Immigration Service, Standard Organizations of Nigeria, National Agency for Food and Drug Administration and Control (NAFDAC), Nigerian Investments Promotion Commission (NIPC), National Office for Technology Acquisition and Promotion (NOTAP), Nigerian Customs Service, Securities and Exchange Commission, etc., and enable compliance with relevant laws. We will help complete the documentation for the issuance of Tax Identification Number (TIN), Value Added Tax (VAT) Number and Tax Clearance Certificates (TCC) at the Federal Inland Revenue Service (FIRS). 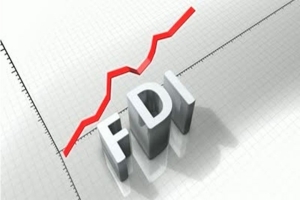 We will provide you with information on tax and investment incentives in Nigeria. If you are looking to purchase or lease a commercial space or office location, we will assist you with available options. The acquisition and development of land in Nigeria are perfected at the state or local government office where the land is situated. Conducting due diligence and fulfilling regulatory requirements are essential. Exporters, offshore investors, and transnational companies can hold 100% equity stake in a Nigerian company. However, overseas entities wishing to set up business operations in Nigeria are required to incorporate the Nigerian subsidiary as a separate entity in Nigeria for that purpose. We assist investors in every step of the investment process – from pre-formation planning and beyond. For business-focus advisory, please contact a member of our team directly or email: lexartifexllp@lexatifexllp.com.